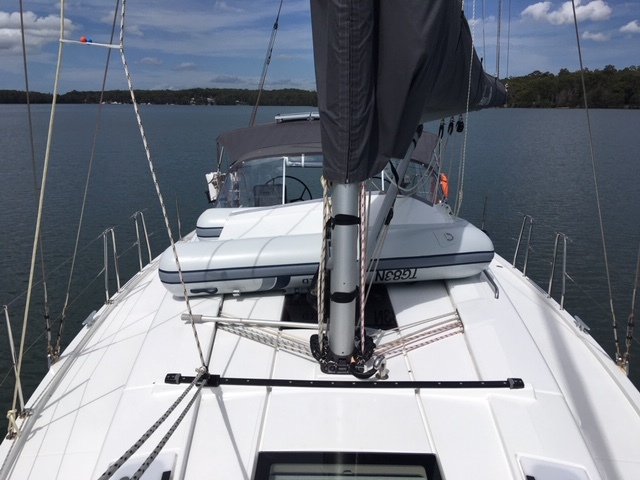 I have purchased a Hanse 418 and am awaiting delivery. I am looking to order covers for the GRP steering wheels and the storage cockpit table. Unfortunately the dealer does not have measurements for these. Does anyone know what they are? Also, I am looking to purchase a tender and we would like to ascertain what size of tender we can fit sideways on the coach arft of the mast which will not overhang the side decks. We would like to purchase the maximum size we can with out impeding passage down the side decks. It would be very much appreciated if someone has measurements of these for a 418. Many thanks if you can help out. My boat is 418 hull #35. We have standard steering wheels and they are 91cm. GRP may differ but as they have same cover option they might be the same. For the table I have to measure when I go to the boat. We have 2.40m with inflatable bottom. It fits like a glove. The distance between two holding bars are 2.41m. Thank you very much your reply is very much appreciated. Photo of a 2.4m dinghy on 418 #31 is attached. We spent time today looking at options to mount on either the bow or cabin top. Cabin top looks best. Mounting on the bow blocks all hatches, and would interfere with the jib. Your reply is very helpful and most appreciated.